How to Do a Feasibility Study | Arts2Art | StillThinking? | Arts2Art | StillThinking? Do you have a great idea for a new product? Perhaps your homemade apple jam is famous among your friends and family and you’ve been thinking about turning your hobby into a business. Or perhaps you would like to start a nanny cooperative but aren’t sure that there’s enough demand in your area to make the project worth your time and effort. Or maybe you work in local government and have been tasked with overseeing the development of a new park, but aren’t sure how to begin your research. In all of these cases, you would benefit from performing a feasibility study. Put simply, a feasibility study is a process during which you test an idea’s viability: will it work? 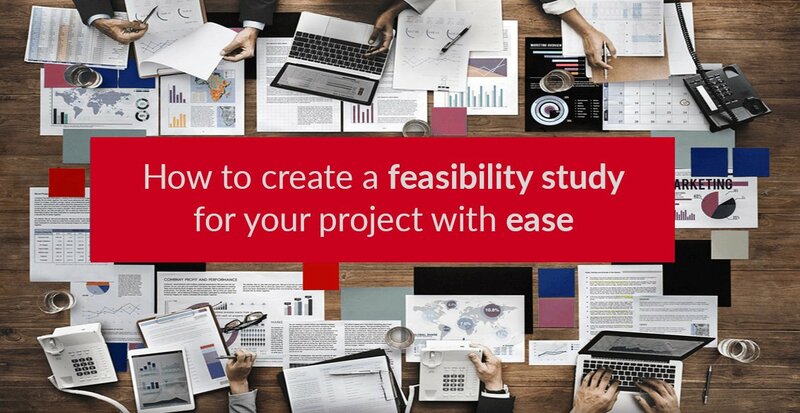 Although the specific questions you will have to address will vary depending upon the nature of your project or idea, there are some basic steps that apply to all feasibility studies. Read on to learn about the basic steps. 1- Conduct a preliminary analysis. It sounds strange to say that you need to a pre-feasibility study in order to know if you need to do a feasibility study, but it’s true! A little bit or early research will help you determine if you need to proceed with a full-blown investigation. We’ll explain more in the following steps. 2- Consider your options. Completing a thorough feasibility study is a time-consuming and sometimes expensive process. Thus, you want to try to save your time and money for investigating only the most promising of your ideas. If you’re thinking about turning your jam-making into a business, for example, you should carefully identify other possible alternatives to this venture before you decide to jump full steam into a feasibility study. For example, have you considered simply selling your apples at the market? 3- Begin to assess the demand for your idea. Your friends and relatives may all rave about the jam that you make and give as gifts, but as much as they like your product, it may be the case that consumers in general aren’t willing regularly spend extra for an organic, homemade product. Before you decide to invest the time and money into a complete feasibility study, you need to realistically assess whether or not there is a need or demand for your idea. If there is, then you can proceed to study the idea in more depth. If not, then you can move on to your next idea. If you’re hoping to sell locally, visit grocers and survey their shelves: if they have a paltry or non-existent display of homemade or organic jams, this could mean that there is no demand for the product. Similarly, if no or very few vendors at the farmer’s market offer jam products, it could be because buyers aren’t interested. If you’re hoping to sell online, you can do a key word search for your product and pay attention to the initial results: if it seems like a lot of people are doing brisk business, it’s possible that there’s demand for your product. You’ll later have to determine if you will be able to compete. 4- Begin to assess the competition. Perhaps you’ve determined that there is in fact a demand for your idea or services. However, you also need to get an idea of how much competition you’ll be up against. For example, even if your town has an active farmers’ market, if there are ten other vendors who are all selling their homemade jams, jellies, and spreads, you’re going to have to think about whether or not you’ll be able to compete or offer consumers a different, more appealing product. Similarly, if you’re hoping to sell online, you want to begin to get an idea about how many other people are selling similar products, or if there’s a leading brand that dominates the market. Will you be able to compete? Begin to think about ways you can aim for a special niche market. 5- Assess the challenges. Before you move on to the active stages of your feasibility study, you should consider whether or not there will be any insurmountable obstacles. For example, if you have a pet that comes into your home at any time of the day, you cannot manufacture food for sale in your home. You will thus need to prepare your jam in a separate structure. If there’s no way you’ll be able to meet these requirements, come up with the necessary funds, or tackle the associated remodeling, then it’s probably best to put this idea on the back burner for now. 6- Decide if you should hire expert consultants. If your initial investigation suggests that it looks like you have an idea that may be successful, it could be helpful to hire a consultant to manage and conduct your feasibility study. Depending upon the nature of your project, you may also need to commission reports from professionals such as engineers (if, for example, you are tasked with seeing if a public works project is feasible). Thoroughly research your need for expert consultations, and learn what their fees will be. You will either need to make sure to budget enough to cover these costs, or if the costs are too high even at this stage, you may not want or be able to continue with the study. You want your final report to be as objective as possible, so make it clear to whomever you hire that you want honest answers, and that you’re not hiring them to give you the answer you want. 7- Set a time-table. Performing a feasibility study can be an involved process, and can easily take up a lot of time. If your initial analysis has indicated that you’re sitting on a good idea and that you thus need to complete a more detailed study, you’ll want to make sure that you can get the job done in a timely manner. Is the report due to your potential investors, your boss, or the city council by a certain date? If so, work backwards from the due date and make firm deadlines for when the individual phases of the study need to be completed. 1- Learn about the market. Once you’ve determined that you have a potentially workable idea, you need to learn as much as you can about what the market currently for your product or service is like, if it’s changing, and how you can fit into it. You’ve already done your initial survey of the market, but now you need to dive in deeper. If you’re hoping to sell your jam, get out there and talk to vendors and shop-owners about where they get their merchandise and how much business it brings in for them. For example, see if the vendors at the farmers’ market are willing to talk to you about their experiences—are they able to make a full-time living selling their goods, or is this a hobby or side business? Perhaps you’ve identified a number of local shops that are willing to sell locally produced items; you’ll want to learn about what their best-selling items are, or if they sell less of particular items at certain times of the year. For example, do they see spikes in sales around the holidays, but a big drop-off in January? You want to try to find out how steady your sales might be. 2- Use data from the Economic Census. 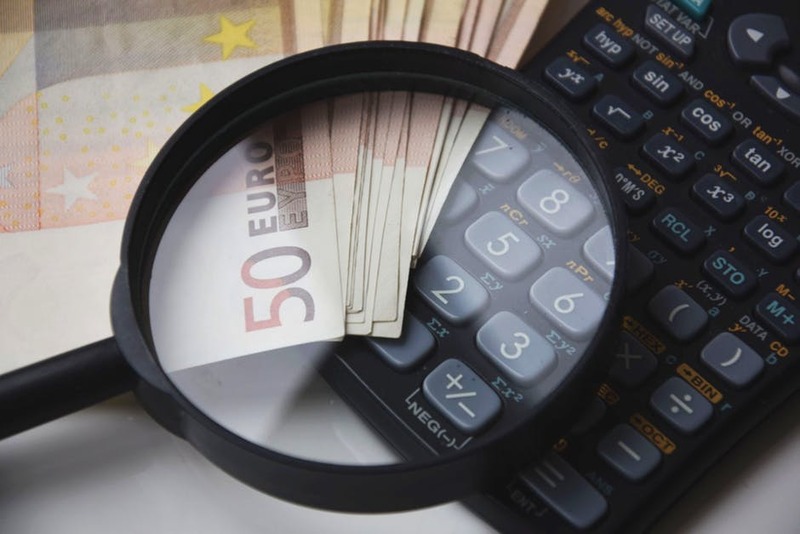 You should be able to find even more detailed information for the demand for your product or service by studying the results of the government’s Economic Census, which is conducted every five years. Business owners are asked about their sales, number of employees, business expenses and types of products, among other things. 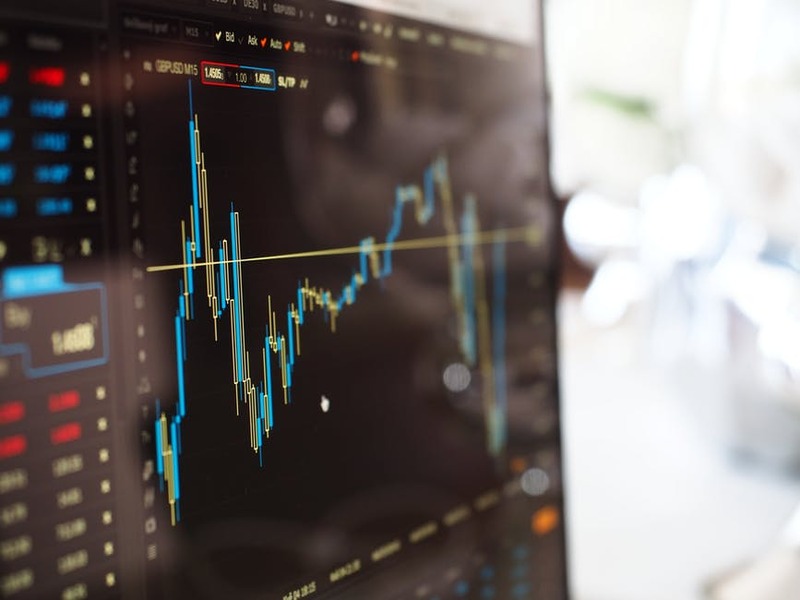 You can find the results of the most recent Economic Census online, and customize your search to learn as much as possible about your area of business, the market for it, and your community in particular. 3- Survey people directly. 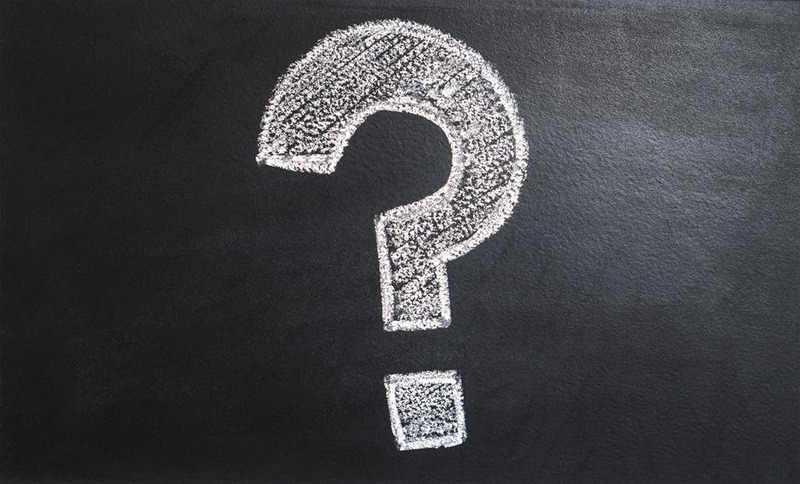 A great way for you to learn as much as possible about what your potential consumers or audience want and need is to interview them and ask them specific questions. For example, see if customers at the farmer’s market are willing to complete a survey or be interviewed about their buying habits and preferences—perhaps in exchange for a free sample of your product. 4- Conduct market surveys by other means. Besides interviewing people directly, you can also reach people you think would buy or benefit from your idea by mailing them surveys to complete. If you do this, be sure to include a return envelope with pre-paid postage. Depending upon your audience, you may get better results by conducting telephone or email surveys. You can also direct people to a web-based survey by using social media like Twitter or Facebook. 5- Design your surveys carefully. Make sure that whatever methods you choose to learn about your audience’s needs and wants, you take the time to compose detailed, specific questions for your survey. For example, if you want to sell your jam, be sure to ask who typically buys jam in the house-hold, and who it is bought for (is it for their kids, for example?). Ask what their favorite flavors are, whether there are other flavors they’d like to try but have never found, and how much they are willing to spend. Ask them as well about what they like about their current brand: the color, the consistency, the company that makes it, etc. 6- Analyze the competition’s claim on the market. It’s also important that you try to determine how much of a share your top competitors have, and how long they’ve held on to that position. This can let you know whether you’ll realistically be able to take a significant portion of the market for yourself. For example, if you learn that a local company dominates the jam market and if the results of your interviews and surveys have shown that customers are very loyal to that brand, you may want to consider moving on to your next great idea. If you haven’t already, be sure to use the information from the most recent Economic Census. 7- Identify your potential share of the market. Once you understand how your competitors fit into the market, you should be able to estimate how you’ll be able to fit in. You want the results of your feasibility study to outline, with as specific of numbers and percentages as possible, how you’ll fit in and how you’ll likely grow over time. For example, will you be able to serve the 10% of people who indicated that they would prefer an organic jam option? What will that translate to in terms of how much jam you’ll have to produce? 1- Determine where you’ll need to work. Part of your feasibility study should be devoted to exploring the details of where you’ll be working. For example, you may need an office space to serve as headquarters for your business operation or project, or you may need land with special features, if for example, you are planning to expand your orchard for your business. Make sure that you have access to the space and facilities you’ll need, and research any leases or permits that you’ll need. What are your staffing needs? What qualifications will your staff need? Are there qualified people available to hire or recruit to volunteer? How do you see these staffing needs changing as the business grows or as the projects unfolds? Will you need a board of directors? What will their qualifications need to be? Who would serve on it? What raw materials will you need? From where will they be sourced? For example, will you be able to grow all of your own fruit or will you need to purchase it in bulk from a separate grower, especially in the off-season? How much sugar and pectin will you need on a regular basis? Will you have to drive to a wholesaler to get these, or can they be regularly delivered? You should also think about the smaller details such as the materials you’ll need for packaging and delivering your product, if you are creating something to be sold. Also, don’t neglect to include such necessities as office supplies. 4- Identify the cost of your materials. While you will get more specific with the details of your budget in the next phase of the feasibility study, make sure to record the prices of the materials you’ll need as you research their availability. Make note of whether or not you’ll be able to comparison shop for your materials, or if you’ll be tied to getting your supplies from a single source. 5- Identify any required technology. You also need to think about whether or not you’ll need any special technology, and research its availability and affordability. For example, even if you aren’t planning on opening up your own storefront and are instead hoping to sell your product online, you’ll need access to a reliable computer, a quality camera, and perhaps software to manage your orders and billing/payment information. 1- Outline your start-up costs. An important part of your feasibility study is a detailed budget, which should include the costs that you’ll need to handle as you start your business or project. For example: what equipment will you have to purchase or lease? Will you need land or special buildings? Do you need special tools or machinery? Determine exactly how much all of this will cost. Your start-up costs are those that you’ll have to cover to get off the ground, but which (typically) won’t be regular expenses once the business or project is underway. 2- Estimate your operating costs. These are the everyday costs of running a business, and will include such things as rent, materials, and wages that you’ll need to account for regularly. 3- Estimate your revenue predictions. Use your prior research on the current prices of comparable items to help you set the price of your services or goods. Based on how much of the market you’ve estimated you’ll be able to corner, and based on your productions costs and the price you hope to fetch, what do you anticipate your profit margin to be? You should also include information about whether or not you see your revenue stream remaining steady or growing over time. To be able to calculate this, begin by carefully outlining your fixed costs (what you will always have to spend on rent, supplies, salaries, etc.). You can then calculate both a conservative and aggressive prediction about your profit growth. 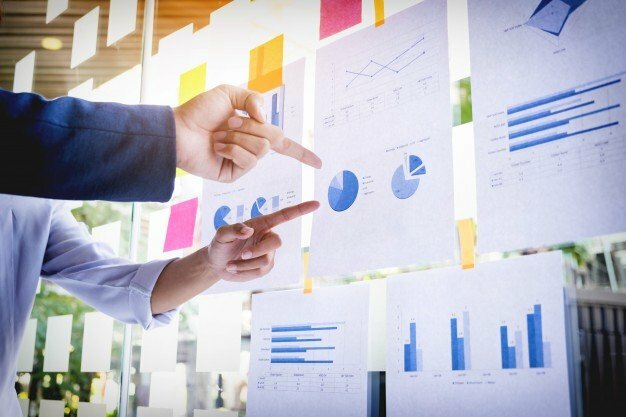 The conservative model will estimate slower growth with possible increases in your fixed costs, whereas a more aggressive model is more optimistic—how much might you be able to expect to grow if demand for your product increases steadily and your operating costs stay relatively stable? 4- Estimate the outcome for other types of projects. Perhaps you’re not planning on selling a good or service, but are instead doing a feasibility study to see whether or not a public works project is feasible. If so, you won’t necessarily have to worry about financial revenue, but you’ll still want to estimate the overall good for the community that you think will come from your project. How many people will benefit from the service, and in what ways? You should be able to use the results from your surveys to help you answer these questions. For example, if you’re studying the feasibility of a new park, you would have earlier asked residents questions about how often they visit parks, why they visit them, and whether or not they thought they’d utilize them more if current parks were redesigned or if new specialty parks were built. You can use all of this to estimate the longer-term impact the project would have on the town. 5- Identify your funding sources. You need to know how you’ll be able to cover all of your costs throughout this operation. Thus, carefully outline all of your available sources of income and funding. For example, do you have savings upon which you can draw? Will you need investors, and if so, have you identified them? Will you need to secure a bank loan? Have you been pre-approved? 6- Crunch the numbers. The final step when considering the financial aspects of your idea is to perform what is called a profitability analysis. Subtract all of the outlined costs from your anticipated revenue in order to determine whether you’ll be able to cover your start-up and operating costs and turn a profit. You should then be able to determine whether or not the profit margin is wide enough. Even if the project isn’t concerned with making money, you still need to crunch the “numbers”: given the amount of time and effort that will be involved, will enough people benefit in the long-run to make this project worthwhile? 1- Compile all of the information. Once you’ve completed all of the stages of the study, you’ll need to organize your findings. Gather together your surveys, the evidence brought in by any of your team-members or hired consultants, your budget, etc. 2- Look at your financial predictions first. In most cases, the ultimate feasibility of your idea will come down to questions about money. Take a hard, honest look at what your anticipated profit margin for your business will be, and determine whether or not you can be satisfied and secure with those numbers. Will you have enough of a financial cushion to be able to handle the inevitable set-backs? For example, even if you’re able to afford new kitchen equipment for your jam making business, chances are good that at some point you’ll need to pay for repairs. Similarly, will your business be able to survive a bad growing season? If your numbers are too tight even before you consider these unexpected (yet usually inevitable) set-backs, you should probably hold off. 3- Balance your estimated business profits against your personal financial needs. If you hope to make a living off your new business venture, you will need to have your personal budget outlined. Once you estimate the profit you’ll make from your business, determine whether or not it will it be able to cover your living expenses. Again, you should remember to factor in unexpected costs, such as needing to pay for car repairs or medical emergencies. 4- Consider the human costs of your project. Even if the numbers look decent to you, you should think about how much time, effort, and attention this new venture will demand. Are you, your family members, and/or team members up for the challenges? 5- Analyze your findings. Considering all of the associated risks and potential benefits, does it look as though the project is promising to you? You may have just been tasked with organizing this study, and the decision to give the project a green light may be up to someone else. Even so, you should do your own analysis based on the findings so that you can include your conclusions in the report. 6- Write it up and distribute it. A study doesn’t do a whole lot of good until it is in the hands of the right people. You may have completed this feasibility report just for your own sake—to learn for yourself whether or not your idea was workable. 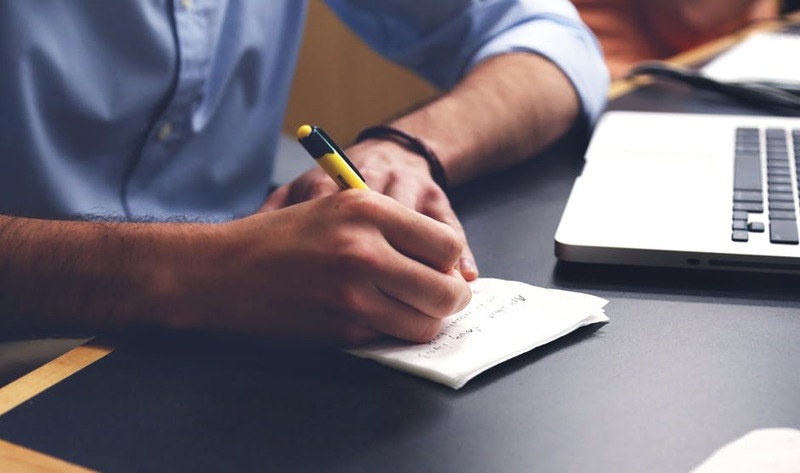 Even so, you’ll want to have your findings clearly organized and written for your own future reference, and it’s quite likely that your potential investors will want to study your report as well. If you were tasked with completing this study for someone else—perhaps by your company or by a city department—you’ll need to make sure it gets to the right people in a timely manner. If it’s your responsibility to report upon your findings, make sure that you practice your presentation, and have professional looking hand-outs and/or visual aids so that your audience can clearly follow your process and see how you arrived at your final conclusion.